This multi-awarding winning wetland park gives people a precious slice of countryside on their doorstep. The delightfully crafted landscape includes a community orchard, areas for natural play and a variety of natural habitats where nature can thrive. Visitors to this blossoming parkland can expect to see a variety of wildlife throughout the year including Water vole, Great crested newt, Reed bunting, Snipe and Emperor dragonfly. A primary role of Beam Parklands is flood protection. The park provides safe storage of 450,000m3 of water – equivalent of around 180 Olympic swimming pools – that in turn protects neighbouring homes, businesses and areas identified for current and future employment. There will be times, a couple of days each year, when parts of the site are underwater. However, the paths and bridges have been designed to withstand flooding and the habitats that have been created are representative of environments that experience regular flooding. Most importantly, Beam Parklands is a place for people to enjoy and a landscape where wildlife can flourish. This was recognised when the park won the 2011 CIWEM Living Wetlands Award and the Brownfield Award for ‘Best Use of Land’. History trail, sculpture trail, natural play areas, outdoor classrooms and walking trails. Beam Parklands is a place for people to enjoy and a landscape where wildlife can flourish. 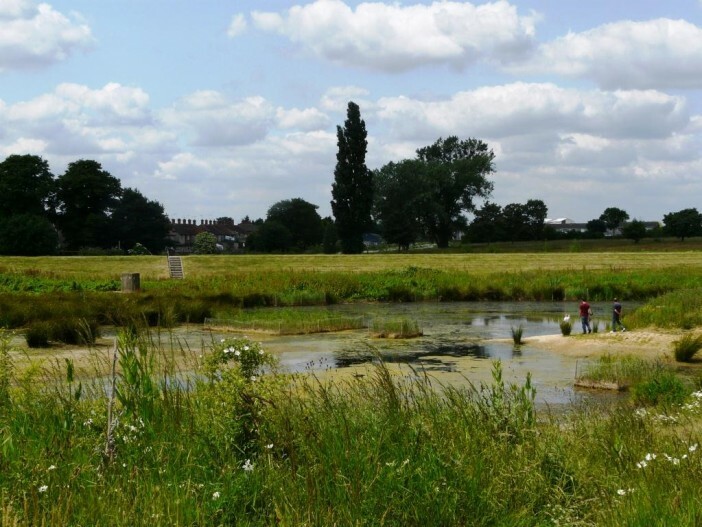 This was recognised when the park won the 2011 CIWEM Living Wetlands Award and the Brownfield Award for 'Best Use of Land'. 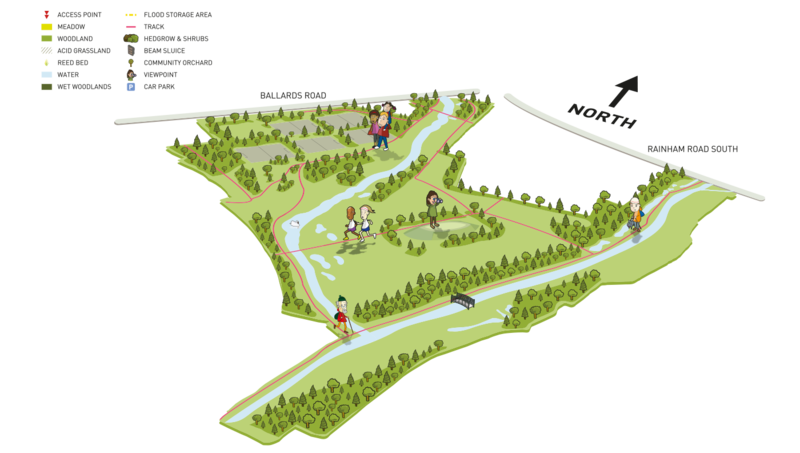 Beam Parklands is located in east London in the floodplain of the River Beam, a tributary of the River Thames which also forms the boundary between the London Boroughs of Barking & Dagenham and Havering. The site is located amidst the industrial and residential legacy of the Ford works, in one of the most deprived parts of the country. The area provides a wealth of diverse habitats, having remained largely untouched and unmanaged throughout the 20th Century as a result of a smallpox isolation hospital being located at its centre. In recent years, the site has also functioned as a flood storage reservoir, protecting homes, schools and businesses in the area including Barking power station which provides approximately a third of London’s electricity. The site had been badly neglected for many years and became a magnet for anti-social behaviour before the Land Trust took it on and opened it up to the public in 2011. 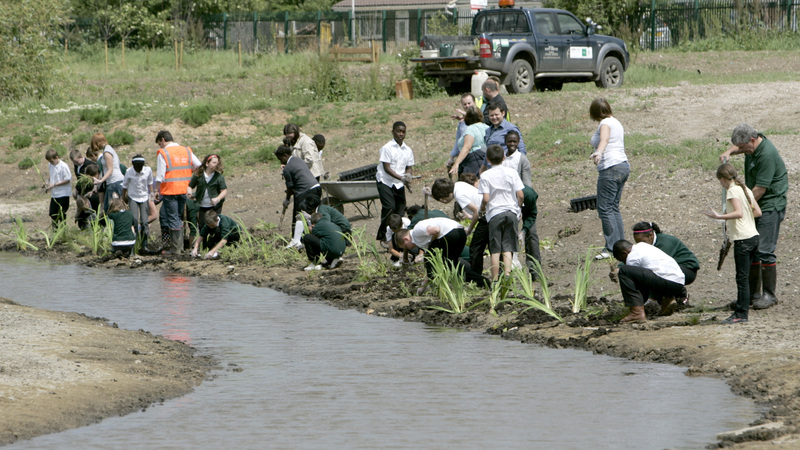 The Land Trust, who own the site, and partners have turned this 53-hectare functional flood prevention area into an innovative multi award-winning space that provides significant community benefits and is helping regenerate a deprived area. The site’s primary function is flood defence. However, the wider area, amongst some of the most deprived in the country, lacks quality public open space. Therefore alongside the Environment Agency’s flood defence improvement works the Trust secured funding from a number of sources to enhance the space and to sustainably manage it as an attractive multi-functional community asset. The Land Trust secured funding from a number of sources. This included the European Regional Development Fund (ERDF) to deliver the capital scheme. The match funding, that is crucial to drawing down ERDF money, was provided through the Environment Agency activity to provide increased flood storage and riverside enhancements. Money for long term maintenance will be provided by an endowment that has been secured from the Homes and Communities Agency’s Parklands allocation for the East London GreenGrid. 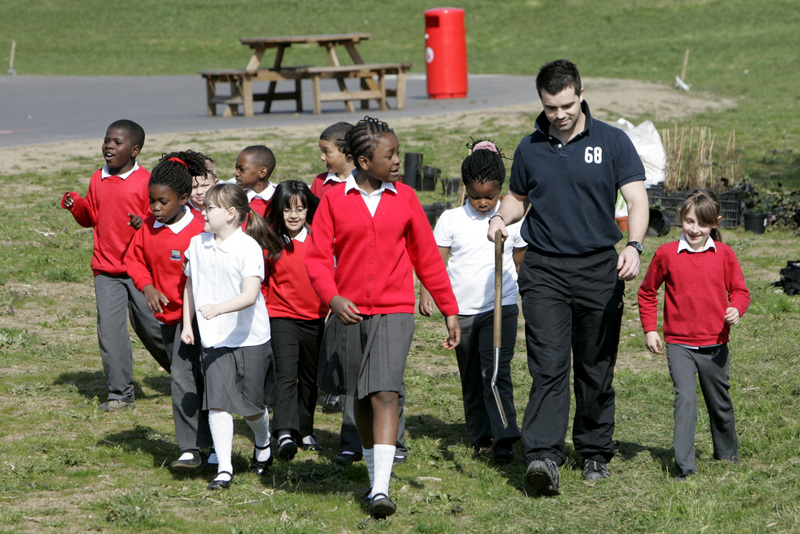 The Parklands endowment will ensure the long management of the site for community benefit. This will ensure that the benefits of the project are sustainable. The Veolia Cleanaway Trust also provided £250,000 to improve access to the Parklands.